Should Students Be Allowed to Use Calculators? I’ll tell you the same thing I tell every parent who asks: calculators should never be used instead of thinking, but they can be used to help thinking. That’s why there are times when students should use calculators and times when they shouldn’t. Calculators should be like pencils – they should help the student do the work but shouldn’t provide the answer if the student doesn’t know how to do it. That’s the big idea, anyway. 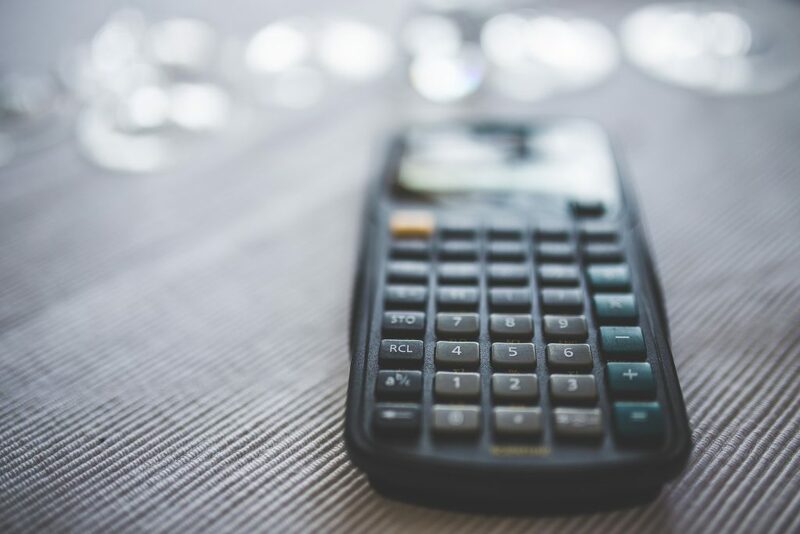 If you want a more detailed run-down of how teachers and writers decide whether using a calculator is appropriate for the homework, read on. When Shouldn’t Students Use a Calculator? In lower grades, students are learning arithmetic: adding, subtracting, multiplying, etc. For those topics, using a calculator would give the student the correct answer, but it wouldn’t tell the teacher if the student can do arithmetic. All it would show is that the student can use a calculator. That means that using a calculator on that assignment defeats the purpose of doing the homework or test. The only way to be sure that the students understand the math is to make them do it themselves – no calculators allowed. When learning these subjects, habitually using a calculator could actually keep students from learning the math. And since these subjects are basically everything taught in elementary school up through middle school, it makes sense that students are rarely allowed to use calculators until middle school or even high school (depending on whether the child takes advanced courses or not). When Should Students Be Allowed to Use Calculators? After students have mastered arithmetic and moved on to more advanced topics, the calculator becomes a useful tool for speed and accuracy. Instead of doing the arithmetic by hand or mental math, the student can plug it into the calculator. They can also check their mental math with the calculator. Students already know how to do the arithmetic (the part the calculator is doing). The calculator won’t prevent the student from learning the new concepts. For most advanced topics, a basic scientific calculator isn’t going to give away the answer because arithmetic alone won’t solve it. The student has to understand the higher concepts being taught so that he or she can apply arithmetic to it. For example, finding the roots of x2 – 2x – x – 1 = 0 is simpler with a calculator because it involves a square root and long division. That’s much faster by calculator than by hand, especially if the directions say to round to a decimal. At the same time, however, the calculator can’t tell the student what formula to apply, how the equation works with the formula, or even how variables can or cannot be simplified. In other words, the calculator doesn’t explain or give away the topic being taught. It simply lets the student work more quickly. It also allows the student to focus on the subject being taught rather than arithmetic like estimating a square root by hand or doing long division. Things the student should already have learned. Remember that the homework students are doing is supposed to reflect their understanding of the subject being taught. With topics like these, students can demonstrate their understanding even if they use calculators. How Do You Know If Your Child Should Be Allowed to Use a Calculator? For the most part, the student’s homework will specify whether calculator usage is allowed. In A Grade Ahead’s math program, for example, calculators are not allowed at all until Pre-Algebra I, and from then on, the directions explain when calculators can be used or not. So, basically, when the directions say that students can use a calculator, let them. Once your student has mastered arithmetic, there’s no reason to prevent him or her from using a calculator unless the directions say so. In fact, it’s good for students to use calculators when the directions allow it so that they are familiar with calculators by the time they get to Pre-Calculus and Calculus. And it may even help them finish their homework faster and more accurately. Did that answer your questions about when students should be allowed to use calculators? What do you think about calculator usage? Tags: Should Students Be Allowed to Use Calculators? Thanks for the post, there are some valid points but I highly disagree that young children need to do decimals and fractions or even long division and multiplication without using calculators, this will never happen to them in real life in this day and age, im a 40 year old medical doctor with PhD and i cant do long division or fractions manually, and why would i?? students these days will never be in a real life situation where they have no access to a calculator or a computer of some sort, so what’s the point of making them suffer? these calculations done manually is something jurassic to say the least. As you why not give them problems to solve, then teach them how to use google and internet to find the right resources, then when it comes to the actual calculation they can use a tool that will be used in their real life at all time, the time and effort they WASTE trying to learn how to divide decimals!! could sure be invested in teaching them other things like computer codes, or how to use calculators to solve real life problems. I agree to some of what you you said, but sorry i cant see any need for children like 9 or 10 years old to do long division or multiplication manually. Thank you for commenting! You are right that as adults there are few scenarios where they will have no access to a calculator, but there are many times when it will be faster and more convenient not to use one. Such as finding the tip for a meal or even working in retail. Additionally, there are some jobs as well as later grades of math where familiarity with the math process can provide a definite advantage. For example, recognizing when the answer from the calculator is bigger or smaller than it should be. That’s a sign that the input into the calculator is wrong but not something that one might catch if always used to relying on a calculator. There are also many scenarios in school when a student could find him or herself without a calculator on an important test – such as having the batteries in his/her calculator die, not bringing a calculator because he/she usually uses a cell phone’s calculator (sadly, this does happen), or bringing a calculator that is not allowed on a specific test (usually because it has capabilities the student is not allowed to have access to). Thank you again for raising these points and giving us the opportunity to offer some more food for thought to our readers!